Sandbagging occurs when a person or company intentionally lowers its expectationsWhat is Financial ModelingFinancial modeling is performed in Excel to forecast a company's financial performance. Overview of what is financial modeling, how & why to build a model. A 3 statement model links income statement, balance sheet, and cash flow statement. More advanced types of financial models are built for valuation, plannnig, and for success with the goal of producing greater than expected results. In business, managers may engage in this practice as a way of reducing the expectations of shareholdersStockholders EquityStockholders Equity (also known as Shareholders Equity) is an account on a company's balance sheet that consists of share capital plus retained earnings. It also represents the residual value of assets minus liabilities. By rearranging the original accounting equation, we get Stockholders Equity = Assets – Liabilities and investorsInvesting: A Beginner's GuideCFI's Investing for Beginners guide will teach you the basics of investing and how to get started. Learn about different strategies and techniques for trading, and about the different financial markets that you can invest in., knowing very well that they will exceed those expectations. Employees may also engage in the practice with the aim of being viewed as outstanding performers and receive positive reviews. Individuals avoid setting realistic expectations because they do not want to be viewed as average performers. When the expected results are surpassed, the company will be seen as financially healthy, and the employees may receive a bonus as an appreciation of the good performance. The underlying idea behind sandbagging is to underpromise and overdeliver. When an individual succeeds in keeping the company’s or investor’s expectation low, they can easily surpass the expectations. Senior managers sandbag by providing earnings expectations to analysts below what they believe will happen. Keeping expectations low can help the company maintain the stock prices at the current price or elevate it to a better price. For example, company ABC may sandbag its quarterly expectations and provide high earnings estimates, but below what they believe will occur. Once the results are released, and they are higher than the expected results, the company’s image will improve, leading to a rise in share value and increased media coverage. When launching a new businessHow VC’s Look at Startups and FoundersA guide to how VC's look at startups and founders. The odds of being funded, the odds of commercial success, traits they look for, good vs bad pitches, and how to increase your chances of getting startup capital from a venture capital firm., business executives may hide the company’s actual potential growth and profit projections with the goal of producing better than expected results for investors. For a relatively new business, the shareholders are eager to see how the business performs and decide if they will continue funding the business in the future. The company can manage these expectations by giving earnings estimates below what they project to achieve. Once the results are attained and surpassed, the company and its executives will look more promising than expected to its shareholders. A startup may engage in this practice as a way of gaining an advantage in future negotiations. As a new entrantThreat of New EntrantsThe Threat of New Entrants refers to the threat that new competitors pose to current players within an industry. It is one of the forces that shape the competitive landscape of an industry and helps determine its attractiveness. Other forces are competitive rivalry, bargaining power of buyers, threat of substitutes, in a competitive market, the company will attempt to gain the trust of the shareholders and potential investors. Once it over-delivers on its expected results for several periods, the company will attract more investors looking to invest their funds in small but promising businesses. Also, it will be easy to retain existing shareholders who will be banking on the firm’s increasing profitability to grow their share values. The problem with engaging in this practice is that it will be difficult to maintain lower than actual results over time. As the company outperforms its expected results period after period, investors and shareholders will adjust their expectations accordingly without focusing on what the company announces as the expected results. Continuing with this practice will be expensive for the company, and the stakeholders will come to find out at some point. 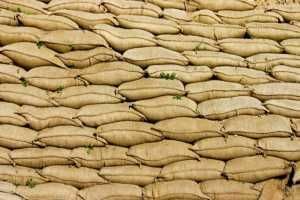 Sandbagging also occurs during an asset purchase or stock purchase agreement. In the sale of a business process, the seller is expected to provide accurate information about the item on sale since the information will be used in setting the price. The seller may unknowingly exclude necessary information that is required to be disclosed to the buyer. The buyer can identify errors and omissions in the seller’s representatives and warranties, and still go ahead with the purchase. The buyer can sandbag the seller using the errors/omissions in the reps and warranties as a basis for seeking an indemnity claim against the seller after the closing of the deal. A seller should be on the lookout for a sandbagging clause in the purchase and sale agreement that sets the stage for the buyer to deliver an indemnity claim even when the buyer was fully aware of the inaccuracy before closing the deal. The seller can start by knowing the buyer’s reputation in previous acquisitions by talking to business owners who have sold their businesses to the prospective buyer. Also, the seller must examine the first draft of the purchase and sale agreement to identify clauses that give the buyer undue advantage. Sandbagging is common among sales staff who are eager to meet their weekly, monthly and annual targets. Almost all companies pay their sales team on a commission basis, and the practice motivates them to underpromise and overdeliver with the goal of increasing the amount of commissions and bonuses. For example, if the company sets a quota for each staff, an employee may lower her goal so that the quota becomes easy to achieve and surpass. Also, once the employee’s reached his target for the month, he may keep the extra sales and move them to the following month when the sales may be slow. Although sandbagging helps sales staff earn extra bonuses, it may prevent them from realizing their full potential. By lowering their expectations, sales staff can only perform within a certain limit that helps them achieve high results period after period while avoiding pressure from the manager. For example, an employee can indicate that he can get 5% more sales in the next quarter while he actually knows he can manage 10% more sales. One of the reasons why individuals sandbag is due to the lack of confidence in their skills to take on specific roles. In a company where the level of output determines an individual’s performance, an employee may lower the expectations as a way of showing exemplary performance. The employee may be afraid of being a one-time success followed by declining performance that may result in termination of employment. For a sale and purchase agreement, the buyer can sandbag the seller for monetary gain. When performing financial modelingWhat is Financial ModelingFinancial modeling is performed in Excel to forecast a company's financial performance. Overview of what is financial modeling, how & why to build a model. A 3 statement model links income statement, balance sheet, and cash flow statement. More advanced types of financial models are built for valuation, plannnig, and and valuation, it’s important to be aware of any potential sandbagging in the past performance or the forecast. A good financial analystFinancial Analyst Job DescriptionSee a real Financial Analyst Job Description including all the skills, experience, and education required to be the successful candidate for the job. Perform financial forecasting, reporting, and operational metrics tracking, analyze financial data, create financial models will identify areas where the forecast may be unrealistic and adjust the numbers as necessary. This will ensure a DCF modelDCF Model Training Free GuideA DCF model is a specific type of financial model used to value a business. DCF stands for Discounted Cash Flow, so the model is simply a forecast of a company’s unlevered free cash flow discounted back to today’s value. This free DCF model training guide will teach you the basics, step by step with examples and images produces a more accurate result. To learn more, check out CFI’s online financial analyst training program.